The Fort Lauderdale International Boat Show returns to the Yachting Capital of the World this November 3 through 7, 2016. 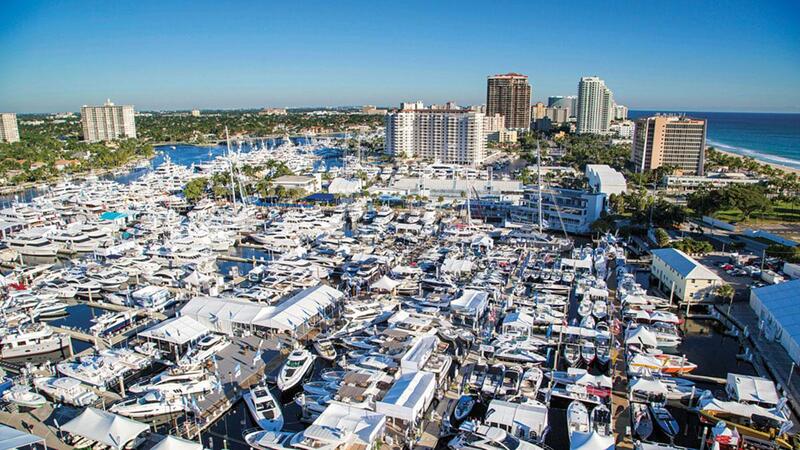 The Fort Lauderdale International Boat Show is one of the largest and most important boat shows in the world, and it is held right here in our own backyard. This magnificent show, spanning several locations throughout Fort Lauderdale, is a collection of the newest and most superb yachts, boats of all sizes and kinds, exotic cars, and brokerage vessels. The show also offers boating classes, seminars, fishing clinics, and other special events that boaters at every level can find informative. InterMarine Boats will be present as the certified local dealer for Chaparral Boats, Four Winns Boats, Jeanneau Power Boats, and Prestige Luxury Yachts. InterMarine Yacht Group, North American distributor of Dreamline Yachts, will also be present with an outstanding selection of brokerage yachts. The Fort Lauderdale boat show is a celebration of the boating lifestyle and is not to be missed by anyone who considers him or herself a boater Buy your Tickets via the FLIBS.com website. VIP luxury tickets also available for those looking for a more extravagant experience. Information on Chaparral, Four Winns, Jeanneau, and Prestige vessels on display will be coming soon.